A new feature is added in WhatsApp which will be good news for WhatsApp users. 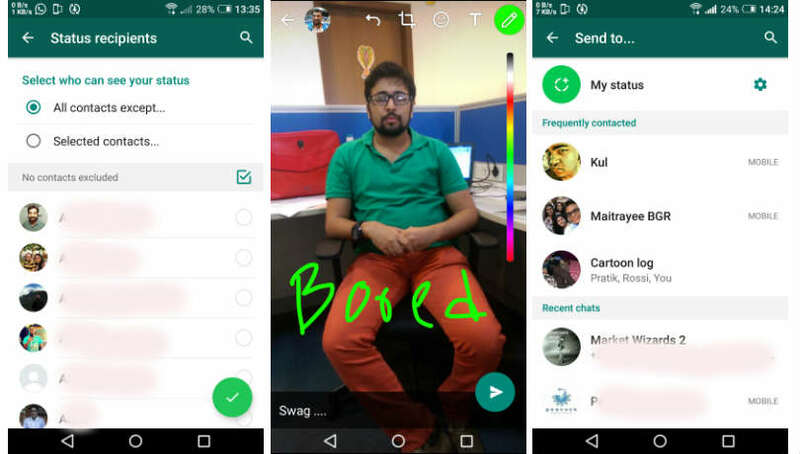 WhatsApp added a feature named status which is very similar to Snapchat stories. Instagram copied or added Snapchat’s popular Stories feature in August 2016. It is a tool that lets users share photos and videos for up to 24 hours before they disappear. On Monday, Facebook-owned WhatsApp, became the latest Facebook property to launch a Stories feature when it unveiled a new version of its existing status update option called as WhatsApp Status. “The original idea behind the project was to build an application that lets your friends and other contacts know what you’re up to,” CEO Jan Koum writes. This update could put a brake on Snapchat’s growth. Instead of posting a short status message like “Feeling Happy” to your profile, the new feature lets you share photos and videos in a montage format for up to 24 hours before they disappear. One of the special features in the update is that it’s end-to-end encrypted like WhatsApp messaging. Users can watch updates from friends and reply privately, send their creations to all their contacts they’ve chosen with a persistent privacy setting. 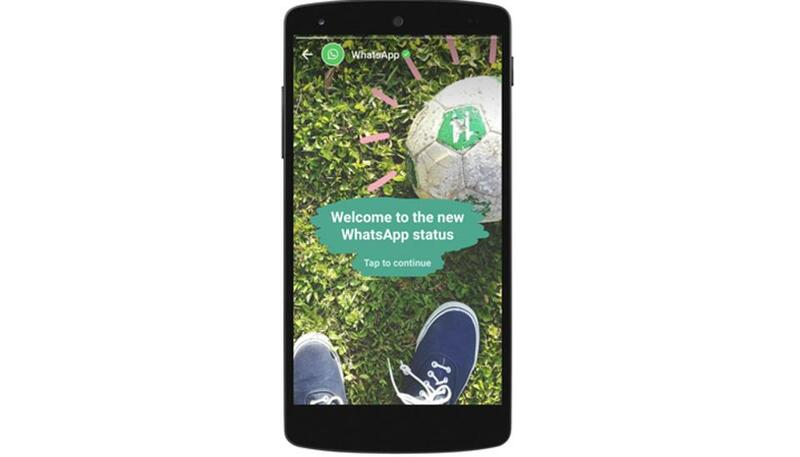 Status could also open up new advertising opportunities for WhatsApp. The new Status feature replaces WhatsApp’s old AOL Instant Messenger-style away messages. That was actually WhatsApp’s only feature when it launched almost exactly 8 years ago. 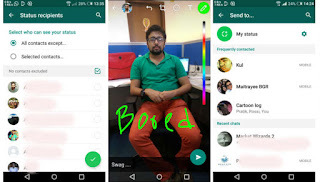 There are some elements that make WhatsApp’s version of Stories unique, you can share GIFs to your Status, for example, and all Status updates are end-to-end encrypted, which means that once they disappear they really disappear. Videos can be 45 seconds long, not just 10 seconds like on other platforms, and Status updates are only shared with users in your address book, not followers you may not actually know. WhatsApp tested the feature for beta users in November, and now the Status tab is rolling out on iOS, Android, and Windows Phone soon. According to the reports of WhatsApp, it has 1.2 billion monthly users, with users sending 60 billion messages per day, including 3.3 billion photos, 760 million videos, and 80 million GIFs. Thanks for reading this post. Please share your views about this new feature of WhatsApp.